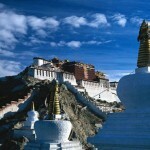 Snow Leopard’s responsibility towards Eco-tourism to help preserve the Himalayas. Ecotourism is perhaps nowhere more relevant than in Nepal. With ecotourism we mean the responsible form of tourism that minimizes the negative effects of conventional tourism not only to nature but also to the culture and social values of the host communities. 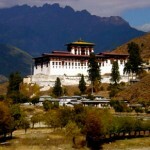 The fragile Himalayan ecosystem is in a threat due to environmental degradation. The region is losing its precious forests which have resulted in soil erosion and other related problems. Tourism is also one of the causes of deforestation in the Himalayas as firewood is the main fuel used for cooking and heating in many places in the mountains. In numerous places, trekking groups have left littered trails and degraded forest in their wake. 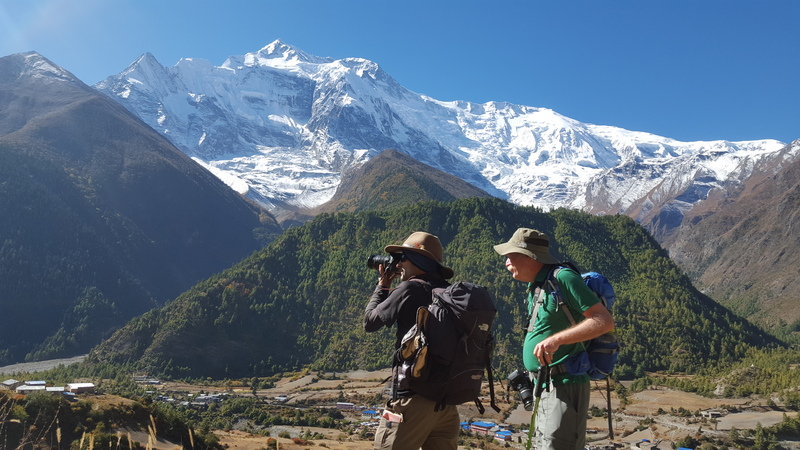 Against this alarming backdrop, the practice of ecologically friendly-tourism has been gaining increased momentum – both in Nepal and around the world. Our approach to tourism through the preservation of eco system seeks not only to preserve the environment and culture of a tourist destination but also benefits the local population. Even though these days there is more awareness among the local communities about environmental degradation but the efforts are not in the proportion to the increasing problem. 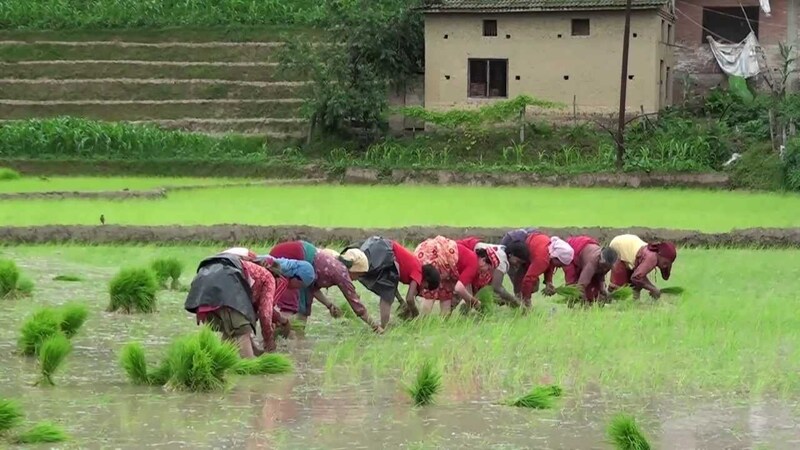 Nepal is also a culturally rich country with more than 100 ethnic groups (mostly living in the mountains where the tourists go of trekking) having their own cultures. As the people are poor and not very conscious of the values of their culture, they are quite vulnerable to tourist cultures. 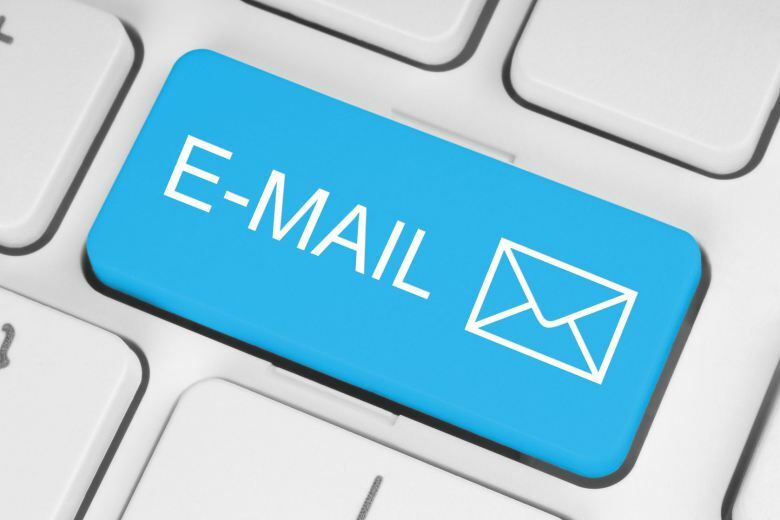 We request all our clients to extend help to protect the precious nature and culture of the host communities, firstly yourself not being the cause of the problem and secondly contributing in the effort, small or big to protect the environment and the culture of host communities by travelling responsibly. Here are some of the ways Snow Leopard practices ecotourism and you can help us too. We carry back all the used batteries back to Kathmandu. We prefer to drink can beer over bottled beer. The cans are easier to bring back to garbage points. In mountaineering and climbing expeditions all bottles and cans are carried back to Kathmandu on helicopter from collection points. As plastic water bottles are major sources of pollution we insist you to carry your own bottle and use iodine tablets (or what you prefer) to purify your drinking water. Quality iodine tablets are available in our office or you can bring your own purifier from home. You can also always refill your bottle and leave the empty bottle to be disposed by the lodge if you have to buy bottled water on the way. This helps to minimize use of plastic bottles. We carry proper toilet tents in our camping trips. We keep our camp grounds garbage free. Burn the combustible garbage and carry the non combustible to the nearest collection point. We use cotton bags instead of plastic bags for shopping and other purposes wherever possible. We do not camp fire in the camp grounds in the mountains. We provide proper insurance and clothing for all our trekking staffs. They are (mostly our guides) trained on ecotourism practices. Importance of Organic foods and the harm done by chemical fertilizers and pesticides. Conservation and carbon footprints, climate change and its impacts. The problems caused by deforestation. Hazards faced by the environment. 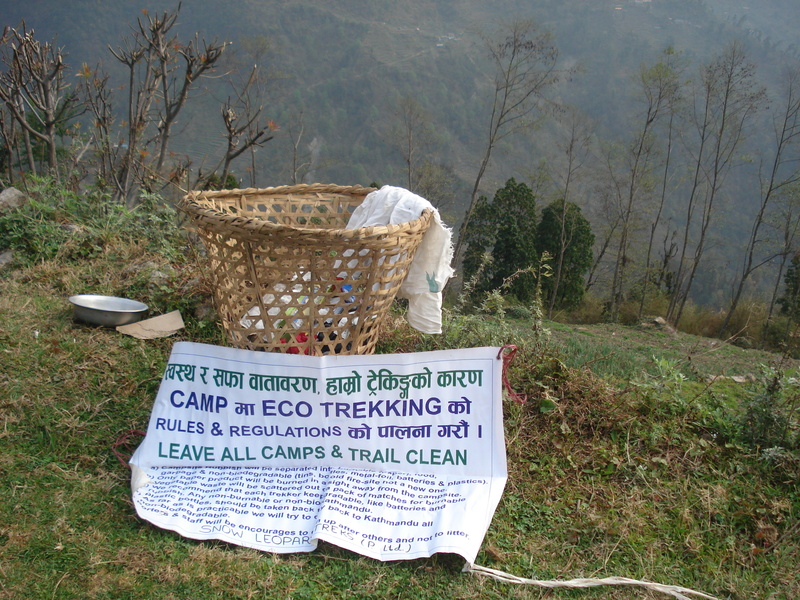 Helping to keep clean the trekking destinations areas wherever possible. In the above trainings we give to our guides and porters we sometimes invite the local people of different areas. From the annual profits earned by Snow Leopard through the sales of tour and trekking packages, 10% is invested for the above mentioned activities. 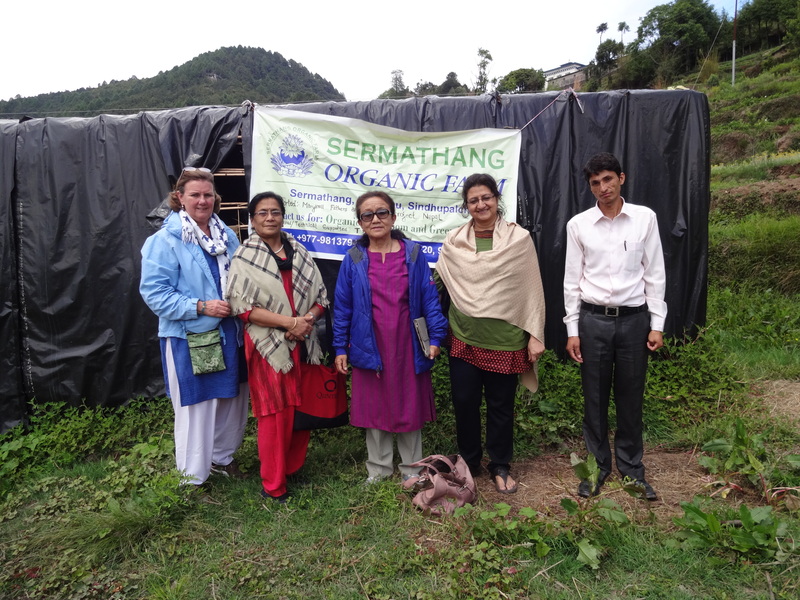 We also work in partnership with our sister organization Trans Himalayan Environment and Livelihood Programme (T – HELP) for the benefit of local livelihood, women’s empowerment and environmental conservation. Our Managing Director Mrs. Yankila Sherpa is actively involved in T-HELP as the Vice President and on a voluntary basis. Before starting trekking, we want our fellow trekkers to know about the environmental issues to help keep the trails clean, leave only footprints and take only photographs. Local people are happy to listen to these issues from outsiders specially western visitors and also the best practices of western countries in environment conservation could be shared among our local communities. Our endeavor is always to keep the place as natural and untouched as possible. 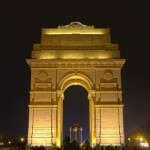 These initiatives also help to create awareness among tourists.